Scottish ministers will look again at plans for a waste incinerator in Invergordon, following a legal challenge by a nearby Highland estate. Combined Power and Heat (Highlands) Limited was granted planning permission by the Scottish government in May. Ross Estates, also known as Balnagown Estates, lodged an appeal against the decision in the Court of Session. Businessman Mohamed Al Fayed is the principal shareholder in Ross Estates. Campaign group Invergordon Community Action for Recycling and the Environment (Icare) praised Mr Al Fayed and his team for their intervention. Icare said the government had conceded to the appeal and would take a decision on the application again. Campaigner Tina McCaffery said: "Unfortunately, this does not mean the end of the journey. "The decision on whether to grant planning permission for the waste incinerator will now be required to be taken again by the Scottish ministers, and there is no certainty regarding the outcome." Icare have also called for a public inquiry to be held into the £43m incinerator project. 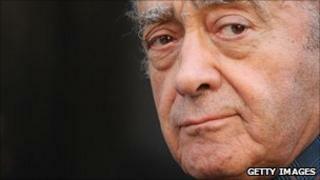 Mr Al Fayed, who owns Balnagown Castle, said he was pleased the appeal had been upheld. He added: "I should like to thank the local community for the strong support they have shown, and the result today is a triumph for them and the area. "I will continue to support the community in their objections to this incinerator until their voices have been heard." If it goes ahead, the plant would burn non-hazardous waste.